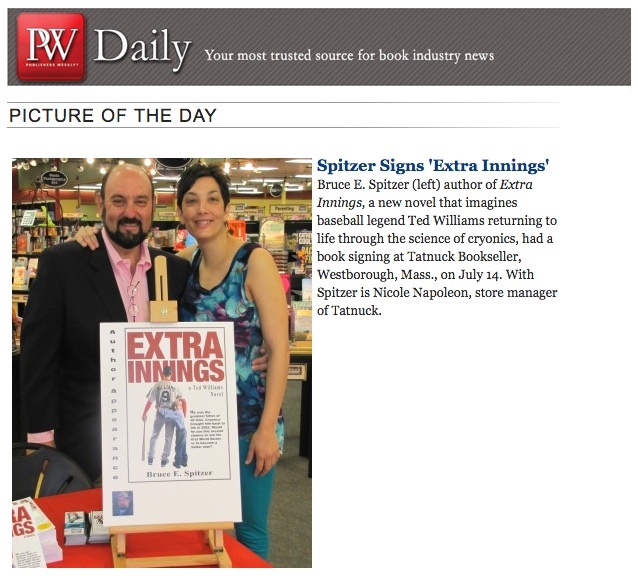 BOSTON, April 17, 2012 -- Bear Hill Media has announced that Extra Innings, a Ted Williams novel by debut novelist Bruce E. Spitzer, will launch today nationwide. Extra Innings features the return of baseball legend Ted Williams through the science of cryonics. The novel has already been acclaimed in this week’s edition of Sports Illustrated Magazine. Extra Innings is a cross-genre novel: part sports, military thriller, and speculative (science) fiction. In the year 2092, Ted Williams once again plays for the Boston Red Sox and finds himself trapped in a dystopian world he hardly recognizes: the corruption of the game he loves with über-juiced batters and robot pitchers; difficult love affairs clashing with his old desires; and a military conflict of the future in which he must harness the fighter pilot skills he used in his first life. Spitzer is a public relations executive, magazine editor and columnist. His writing has won awards from the New England Press Association, the International Association of Business Communicators and the Publicity Club of Boston. A graduate of Boston University and Rutgers, he lives in the Boston area with his wife and young son. Book-industry veteran Alan Rinzler edited Extra Innings. Rinzler has edited Clive Cussler, Robert Ludlum, Hunter S. Thompson, Toni Morrison, Jerzy Kosinsky, Tom Robbins, Andy Warhol, Shirley MacLaine and many other prominent authors. 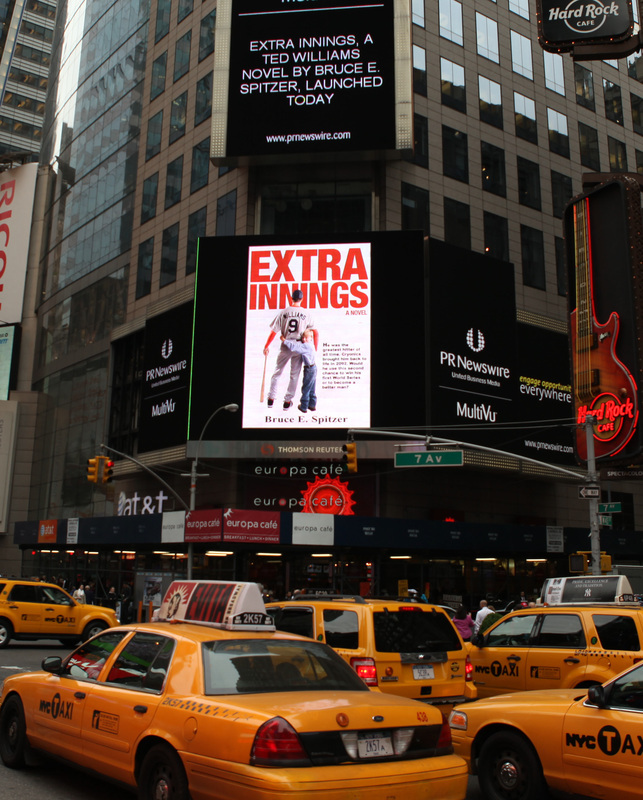 Extra Innings is available through popular online booksellers, and readers can ask for it in their favorite bookstores. For more information and to purchase, visit: www.ExtraInningsTheNovel.com; Barnes & Noble: http://bit.ly/HKrfbX, Amazon: http://amzn.to/IIerQJ, eBook: http://amzn.to/IDmWOv. Extra Innings is published by Bear Hill Media, April 17, 2012. Trade paperback: 398 pages. ISBN-13: 9780984956906. E-book: ISBN: 0984956905. 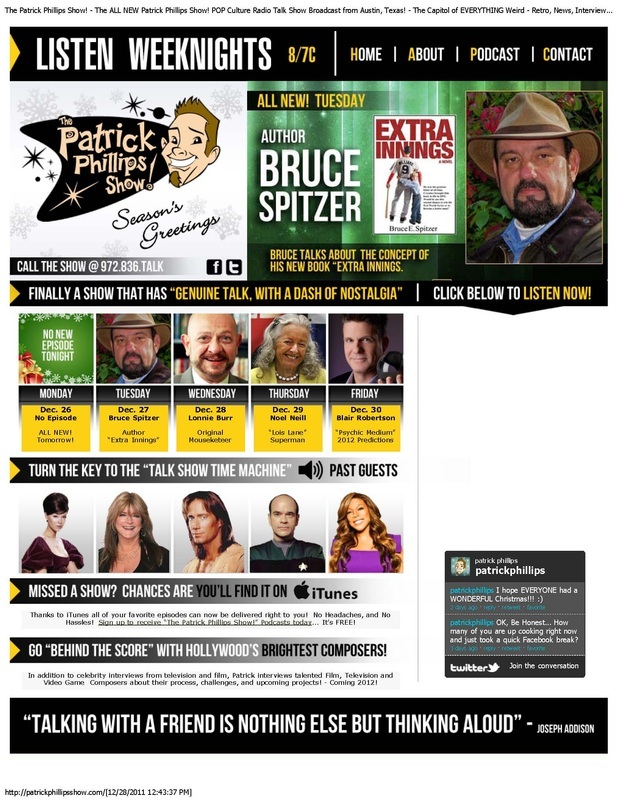 Author Bruce Spitzer talks about the concept of his new book on "The Patrick Phillips Show"